This dog breed of the terrier group is completely devoted to its family members and known for being obedient to commands, super intelligent and always on alert, so they’re great watchdogs. Another reason these little pups are so popular is because of their non-shedding coats. This makes the Miniature Schnauzer the perfect canine companion for allergy sufferers plus these dogs do well living in the city or the country. 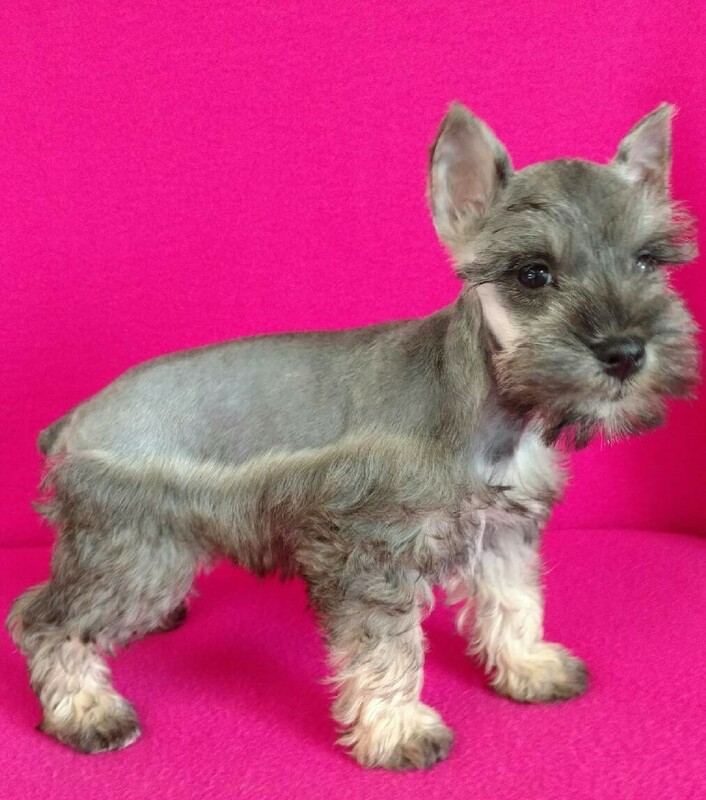 Standing just 12 to 14 inches tall, Miniature Schnauzers are usually recognized for their prominent features which include bushy eyebrows, mustache, and beard. TLC Kennel is proud to offer Miniature Schnauzers in all of their coat colors include black, black & silver, salt & pepper, and white.